In a drive started by the Khanna police under the Mission Tandrust Punjab, two quintals of spurious “Khoya” has been recovered. Khanna SSP Mr Dhruv Dahiya informed that this Khoya was purchased from Panipat in Haryana and was to be supplied at cheap prices to different shops in Garhshankar town of Shaheed Bhagat Singh Nagar district and other areas of the state.He informed that the Khanna Police had set up a check point near Pristine Mall, village Alour, GT Road, when a Mahindra Bolero vehicle bearing number HR-83-2917, coming from Gobindgarh side was stopped for checking. Upon checking, two quintals of Khoya was recovered from the possession of vehicle driver named Bablu, son of Ram Ratan, and Rajdev son of Ram Pher, both residents of Sonali Road Sabzi Mandi, Panipat. The duo informed that they had brought this Khoya at cheap price from Panipat and were to deliver it at high price at Garhshankar town of Shaheed Bhagat Singh Nagar district. The recovered Khoya has been handed over to the officials of Food Supply Department for further action.The SSP further informed that one Gaurav Inder Sood son of Balvir Sood, resident of Krishna Nagar, Machhiwara is a travel agent and owns a shop named Sood Travels . Mr Dahiya informed that Gaurav Inder Sood used to dupe people on the pretext of sending them abroad. 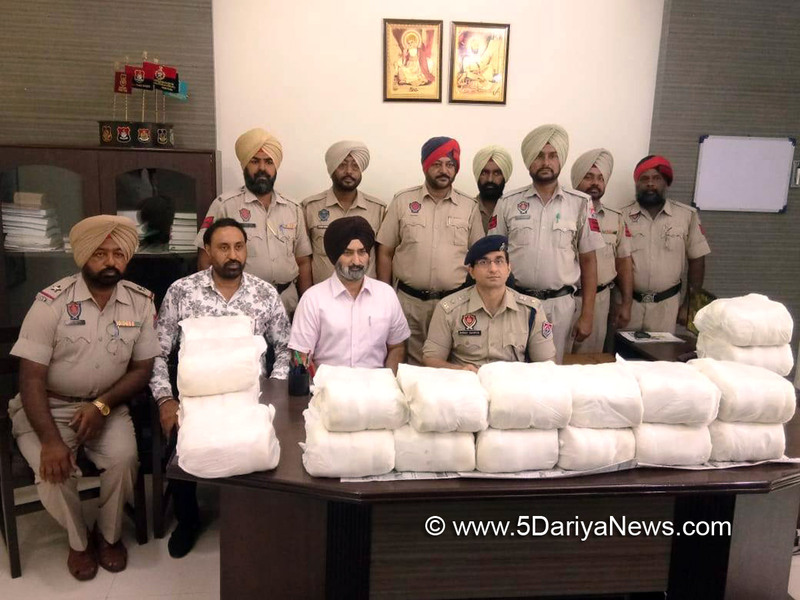 A case (number 134) under section 420 of IPC has been registered against him at Machhiwara Police Station on August 18, 2018 and the accused has been sent to judicial custody.Similarly, another travel agent named Tejinderpal Singh, son of Mahinder Singh, resident of village Khanpur, also used to dupe people on pretext of sending them abroad. A case (number 123) under section 420 of IPC has been registered against him at Payal Police Station on August 17, 2018 and he has also been sent to judicial custody.